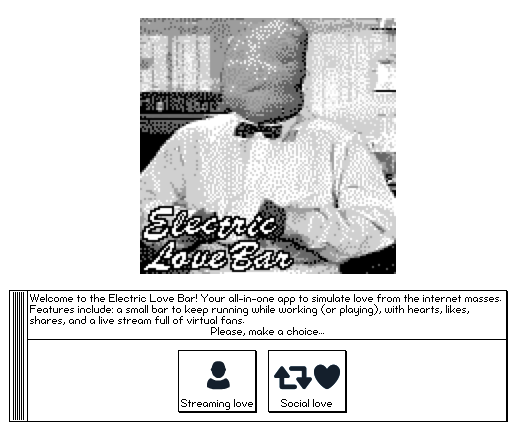 The Electric Love Bar simulates love from the internet masses. It provides a small bar with an array of social media functionality such as: hearts, likes, shares, and a livestream of virtual fans eagerly watching your every move and speculating in the chat. The Electric Love Bar will provide you with a sense of company, belonging, and following. The Electric Love Bar is a state of the art simulator! Because none of this is real, you can safely use The Electric Love Bar without consequence. Rest assured: nothing is logged, and none of your behavior is monetized. 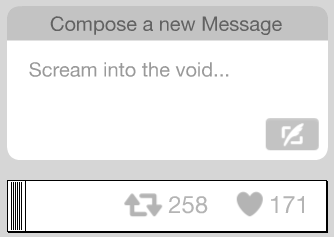 So social media has all that now, and I noticed that if I just see some icon with a little red bubble over it I feel like "oh! I have an alert!". And it might just be a graphic that looks like that out of the corner of my eye. So I thought I would take that and make a little simulation thing that just floods you with some of that imagery and see how it feels. For me, it does do something, so I think there's definitely something there. 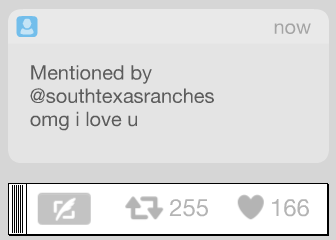 This feedback is everything and (in some way) it's part of our desires (follows, hearts, likes...). I'm curious tho, is the feedback enough or does it have to come from a real person? The fact that there are so many bot accounts on Twitter, and somehow I still value their numbers tells me that maybe we've moved past it having to even be real. I don't know. I was curious. If this pans out I want to explore this further in my games.